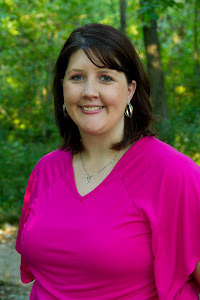 One Blessed Mama: Fall Give-Away Here at One Blessed Mama! I am so excited about this carnival. I have not participated in many and I am so super excited to be giving away something that I adore and could not live without!!! Brace yourself because it is the best thing ever!! I have not shared much about my passion for nutrition supplements and my love of using toxic free, green cleaners but this is one of my loves! I actually try to tell everyone I know about it-- so now it's your turn! I love Shaklee. Shaklee is so near and dear to my heart because I think Shaklee products have saved my families health. I am a vitamin nut. My kids take vitamins, I take vitamins, and I make my husband takes vitamins. Beginning in April 2008, I started us on a religious vitamin diet and totally toxic cleaning program. Since that time, we have only been sick once with the 24-hour flu bug (and that was just last week!) and we have had absolutely NO asthma attacks (We are an asthmatic house. It's actually really an ugly situation!) . Here are some quick stats for you! "Recent studies have shown that exposure to household cleaning chemicals increases the likelihood of asthma among children." "In New York, a study of urban minority asthma sufferers revealed that 61% of individuals working in janitorial jobs reported exacerbations of their asthma symptoms associated with their workplace." My son, Dylan, also has what is called the Triangle -- Asthma, Eczema, and Food Allergies. So before I found Shaklee, I was making my own detergent (I not only was doing to help his skin but I thought it saved us $$, little did I know that Shaklee was cheaper!! Ugh! All those hours of grinding soup!). My son, Lincoln, has severe asthma and I have EVERY female issue in the book. I am so excited to say that through (our Sweet Lord, first!) diet, exercise and nutrition, we are all healthy without the use of steroids OR hormones. But besides my love for vitamin, I am convinced that Shaklee is the way to go for green and economical cleaning products. So without further adoo (and NO I'm not giving away vitamins!!) I want to introduce what I am giving away... Because the flu and swine flu and all other illnesses are floating around I thought it would be fitting to give away TWO bottle of Shaklee's Basic G- Germicide cleaner to TWO lucky winners! Now a little bit about the cleaner... Here is the description from Shaklee and I would without a doubt absolutely second it! Bacteria, fungi, and viruses can wreak havoc on your family's health and safety. Used as directed, Basic-G tackles over 40 of these pesky microbes, including several animal viruses. That makes it an excellent choice for use in the kitchen, bathroom, or pet area. In addition to being economical - one quart makes up to 64 gallons - it's also EPA registered. I use Basic- G on EVERYTHING! Here is an example, we take our trash to a local incinerator to save money on trash. Sometimes we get a little behind and it just sits in our garage. Well last week was one of those weeks. Here comes in the problem, last week I did the last of the tomatoes and I didn't pay attention and the trash bags leaked all over the garage floor. When my husband finally took trash, it SUPER stunk! So I took my little handy, dandy Basic-G and poured a little on the spots, let it sit, and about an hour later hosed it off. The smell is totally gone, as well as the spots. I was amazed! 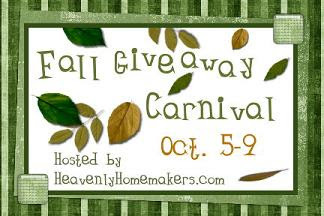 There are some GREAT products to be given away, so head on over to Heavenly Homemakers! That sounds like a good product. Thanks for sharing. I would be interested! We have asthma, eczema, and allergies in our household. I think that's reason enough! (if I don't win, I might eventually buy some, it sounds great!) Thanks for letting us know about it! I have never heard of this stuff. Why do we need it? I can't think of a reason why we wouldn't. We suffer from allergies. One of my daughters has eczema and allergies. I would love to get rid of the smells and the germs without the house smelling like Lysol. Thank you. I believe we could definitely use it. Most of the products I try to use for cleaning have chlorox in it which my boys are very allergic to. Those products put splits in their hands. I believe Basic G may be gentler on hands. 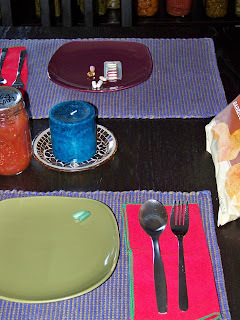 awesome...my husband has just begun his detergent making journey & we would love this! I would love to try this stuff. I am very into not using chemicals in my home. Usually I just clean with vinegar and baking soda, but my husband always worries that it's not anti-bacterial enough, so this would make him happy. I have considered trying this product in the past. This would be a great way to win some. I would love to try this in my home- I have 2 young children and I am always on the lookout for safer products! Thanks for the giveaway! I would love to try this cleaner because I am always looking for products that work well. I healthier product would be even better! Thank you for the giveaway. I clean w/ nontoxic cleaners because my daughter has eczema. We noticed a huge difference when we switched. I've always wanted to try Shaklee! I have never seen this product but I am always looking for natural products to clean my home especially with 4 small children! I have been trying to go greener with our cleaners. This looks like a great one! I would love to try it. My family has been dealing with a lot of illness lately and I really need to scrub down the whole house to get rid of all of the germs.... but I hate to spread chemicals everywhere! I have used basic G in the past and really liked it. I would love to get back to using it. I too make most of my own cleaners to stay away from toxins. What a great giveaway. Thank you. We would love to try some Basic G here! my 11 year old suffers from migraines and i've always wondered if taking care of the microbes in our house would help. if i try this and it works, i'd def buy more! We've switched over to natural cleaners, but I'm still looking for something with the oomph to scrub the cat's litter box that's still safe for her. I would love to win the cleaner since I'm been slowly switching to natural cleaners, mostly homemade for cost. I need something that's strong enough to clean the bathroom and leave it smelling fresh and clean. I have asthma too and that was the main reason I switched from all the chemicals to natural stuff. A person should not start wheezing when they use cleaning products, which is what was happening to me every time I cleaned. I feel so much better now! I always want to try Shaklee, but the freebie cleaners the grocer gives me seem to overtake my green brain. I would love to try this product. I have thought of purchasing this product before but now I will - with 2 little girls with allergies and severe eczema I am willing to try anything to help them!!! I would be interested in a post about the vitamins your family takes. Thank you!!! I have two young children and a dog. Getting our home clean is always a challenge. I've mainly been using another non-toxic cleaner concentrate, but it's almost gone, so I would love to try this one out. I have 2 little ones, one will be crawling in a few months, and I love to use natural or homemade cleaners to keep my house clean! I truly think it keeps us all healthier as a result! I've never tried Shakelee stuff though! I'm just starting to eye Shaklee after reading that the H2 can be used as insect repellent. Seriously - soap instead of really icky chemicals? Whoa. Thanks for the chance! My daughter is 4 mo old and I'd like to try greener cleaning products. Thx! We love Basic H but haven't tried Basic G. Thank you for participating in the Fall give-away carnival.